Over the years we've created many different types of calendar templates. Choosing the right calendar for the situation is a big part of keeping your daily life in order. Below we talk about 10 ways to use calendar templates effectively to help at home, work and school. Having a printed calendar close at hand is a great way to quickly check dates without the need to open up an app on your phone or calendar software on your computer. Our 2017 and 2018 calendars offer a variety of monthly and yearly layouts and designs which are easy to print as well as customize in Excel. Our school calendars come in a variety of layouts, and after choosing a start month you can also easily customize the colors as well as add important dates and events. TIP - Creating & sharing calendars as PDFs: New versions of Excel (2010+) let you save as a PDF or print to a PDF. This is a great way to share your calendar with family, friends and coworkers without the need to print (and you can save some trees!). To keep track of your group or organization's daily events, our monthly calendars are easy to customize and each day has space to enter in multiple events. There are four main designs (Light, Bold, Ink Saver and Wall Calendar). To customize the colors and fonts simply go to Page Layout > Themes and pick a new design. The new Monthly Calendar With Holidays includes common U.S. holidays and observances and can be customized with your own birthdays and events. You can also choose the year and the calendar will automatically adjust. You can add events directly into the monthly calendars by overwriting the existing formulas as needed, but you should first save a backup of the template after adding your birthdays and events. If you're looking for a quick reference for birthdays, our Birthday Calendar Template is a great solution. Our Photo Calendar Template lets you create a personalized calendar by inserting your own photos, adding events and choosing your desired theme (go to Page Layout > Themes). We have a variety of templates to help you if you work a rotating shift, or need to coordinate the shifts of multiple employees, or just want a simple weekly schedule to plan your work week. If you're trying to start good life habits or break bad habits, tracking your progress on a daily basis is a great way to make that a reality. The unique horizontal month design of our Annual Calendar template gives you room to track four separate goals on a daily basis. If you prefer to see multiple months at a time and also want room to write in short notes and appointments or data, our Planning Calendar template fits six months on one page. If you're looking to take data and calendars to the next level, our Calendar Heat Map Template lets you visualize data sets over multiple years. Many of our monthly calendars have enough daily space to create your own quote-a-day calendar or even help you with daily scripture study. Below is an example of what one user did using the photo calendar. We're thinking of designing a template specifically for this type of thing, so if you like this idea, comment below with what type of data you'd like to add (quotes, Bible verses, something else?). Calendars of all kinds can be used to plan and track your health habits. You can use a simple monthly calendar for planning your meals along with your appointments. We've also seen people use calendars to create detailed weight training programs. In addition to or instead of using calendars, you could consider planners or logs designed specifically for these purposes, such as the two below. One of the easiest ways to gain weight and blow your food budget is to not plan your meals ahead of time. Our Weekly Meal Planner makes it easy to plan your meals and the more advanced version also helps you create your grocery list. The simple act of tracking what you eat can help you eat healthier. Some of the most popular diet plans and phone apps involve tracking what you eat. Our Daily Food Log template has been a popular tool for many years. It's designed to be printed and folded to easily fit in your pocket. Because it is a spreadsheet template, you can customize it first if you want to track different things. If you're still readying this, you're probably thinking "well, that's an obvious reason." The point here is to emphasize that if staying organized is one of your challenges, a CALENDAR is great for summarizing your plans and seeing the big picture. For the day-to-day details, you'll probably want to look for a PLANNER. So, we end our discussion of calendars by listing a couple more planners. Family life is BUSY! You've got places to go, meals to prepare, stuff to buy, stuff to get done and chores to assign. So, instead of just a monthly calendar on your fridge, you might consider a Weekly Family Planner like the one below. Over the years we've received a lot of feedback and suggestions from users about what they'd like to see in our printable planner templates. Planners aren't just for appointments and to do lists. People also want to track their budget, make shopping lists, track their health, plan their meals, and the lists goes on. AND, they may want all this in a daily, weekly, or monthly format. If all of that sounds awesome and you are a fan of paper planners, check out our Ultimate Personal Planner template. The calendars listed above are just a few of the calendar templates available at Vertex42.com. If you can't find what you want, feel free to offer suggestions by commenting below. I am having a problem locating the calendar spreadsheet that I have always used. My PC had a bad virus and I lost the calendar I was using. It was an excel spreadsheet with tabs at the bottom to go from month to month — with the month filling the screen. Please help me! I have tried a few downloads, but they only had July! Ypu guys are doing a great job. I appreciate and enjoy using your wonderful templates. It makes me feel organised. And i enjoy using excel spreadsheets. @Ama .. I do have a bible reading calendar that I helped someone make. Email me if you would like a copy. I haven’t published it yet. I love your calendars, especially the way they print out. The problem is that most online calendars are iCal type and therefore we default to keeping track of calendar items that way, but they do not print out very well. I know you can convert the format of iCal to excel, but do your templates readily accept the data? And can someone provide an easy, step by step method for doing so? I’d like to see if it is worth the effort…. @Pat, Thank you for your comments. I don’t have anything that automatically imports data into any of my calendars, and as I think about how complex that would be, I doubt it’s something I will ever create. The main problems would be converting recurring events, events that span multiple days, and especially the case where there are too many events to fit into a single day. It would be a lot of work just to make a calendar look nicer when printed. Thank you, Jon, for your prompt reply! I’ll try to figure something else out. You’ve got a great product here…. also define how to add 01:30 hrs in a time. @Hayat … If you are entering a time value of 6:00 AM and 7:20 AM, there is no way for Excel to know anything about the date. If you change your input to “[h]:mm” format (meaning you use [h]:mm in the Type field for a Custom number format), then you would enter 6:00 and 31:20. Whether or not that would work in your timesheet, depends on which template you are using and how the calculations are set up. But, the point is that if you have a cell formatted to display time like 7:20 AM, if you enter 7:20 or 31:20, it will still display as “7:20 AM” so you would need to change the number format to [h]:mm to display it as 31:20. @Menita, The file works fine when I try it. 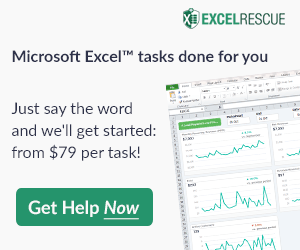 If you have Excel set to manual calculation for some reason, that might be why formulas aren’t updating. Go to Formulas > Calculation Options to set to Automatic. I love the ease that I have with the Calendar and would love to be able to link Bible verses on a daily basis. I love being able to start with one of your calendar templates for my planner and change it up as my needs change. But occasionally (for work conferences) I want to bring a smaller planner that uses half size sheets ( 5.5″ x 8.5″) with a daily agenda on each “page” (so 2 “pages” on one side of a normal piece of paper). You would need to do booklet printing to get it to print the right front on the right back in the right order. @Kelly, Correct. When printing a booklet that displays the left and right sides of a two-page planner when the notebook is folded out, you would start with a blank page or cover page as the first page then use Duplex printing. The Printable Appointment Book is set up like that.